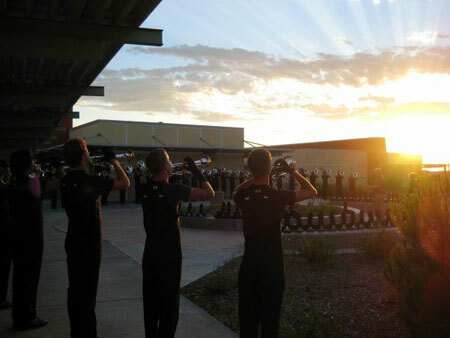 A drum corps fan submitted this photo. This picture was taken before the show in Bakersfield, Calif. during the summer of 2007. A truly amazing sunset topped off the end of the warm-up for the Jersey Surf horn line.